The All Progressives Congress (APC) has accused Imo State governor, Rochas Okorocha, of libelous attacks on its leadership over the party’s congresses in his state. It made the accusation in a statement on Wednesday by its National Publicity Secretary, Bolaji Abdullahi. The party cautioned the governor to work with the new executives and walk the path of reconciliation. 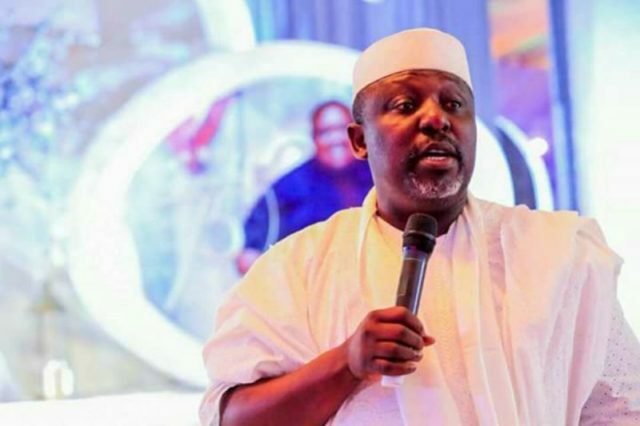 Mr Okorocha had accused the party of going against court orders to swear in the new chairman of the Imo state chapter who emerged from the state congress disputed by the governor, but the party denied receiving any court order on the congress. “In recent weeks, the Imo State Governor, Rochas Okorocha, has made libelous attacks on our Party and its leaders a daily occurrence. Hardly a day passes by without Governor Okorocha verbally assaulting our National Chairman, Chief John Odigie-Oyegun, and other Party leaders over the recently concluded Congresses in Imo State. “In an advertorial published in the Daily Trust Newspaper of June 11, 2018 and titled in part: ‘Let The Truth Speak For Itself’ which was signed by a known associate of Governor Okorocha, one Ireagwu Obioma, who styles himself as ‘Acting Secretary, Imo APC’, a number of false claims were made against the Party. According to the party, the date on the said court papers was May 18 while the Ward and Local Government Congresses which produced the recently inaugurated party executives from the state, were held on May 5 and 14 respectively, four days after the court ruling was issued. The party therefore believes the court ruling being “paraded” as injunction does not prove the governor’s case. It also said at the time of the ruling, which was when a new set of party executives had been validly elected, it believed the court ruling directing that the status quo be maintained, actually means that no one should interfere with the newly elected APC party executives in the state. Speaking on the memo which it said the advertorial in Daily Trust put up to show the party was aware of a court order, the party said it was fake.